Connect Four (also known as "Four in a row") is a two-player board game in which the objective is to be the first to get four of one's own discs in a line. The simple goal of the game is to arrange four pieces in a row. Horizontal, vertical, and diagonal lines are valid. Use your mouse to place your pieces. 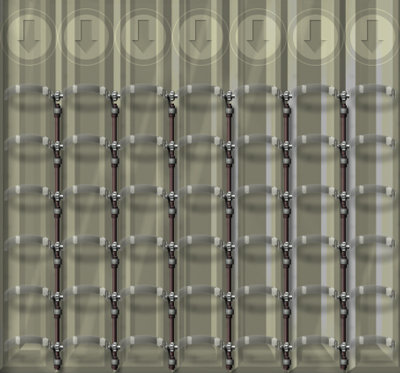 The game is played on a board with 7 columns and 6 rows, which is placed in a vertical position. The players have 21 discs each, distinguished by color. The players take turns in dropping discs in one of the non-full columns. The disc then occupies the lowest unoccupied square on that column. A player wins by placing four of their own discs consecutively in a line (row, column or diagonal), which ends the game. The game ends in a draw if the board is filled completely without any player winning. 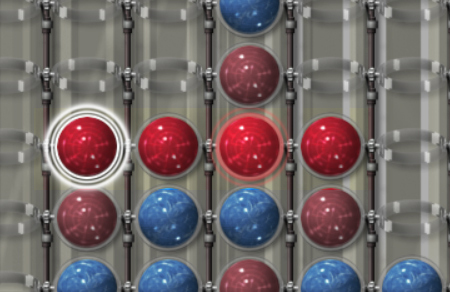 Popout – you can remove an own ball from the bottom row instead of dropping a new one.